We aware that content is king in web development. Content is one of the important parts of your website because it organically improves your search engine rankings as well as drive traffic to your website if and only if the content is well written, original and focused. 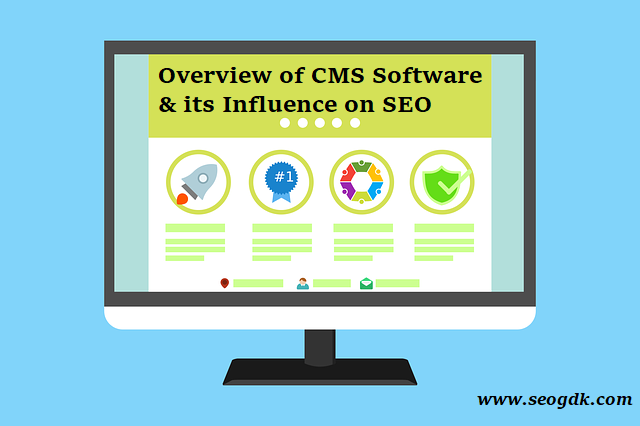 So in this article Seogdk explore the concept of Content Management Systems (CMS) as well as a selection of proper CMS and its effect on SEO. A CMS is a tool used to create, publish, update, discover and distribute content for your website. This type of software is usually very easy to use and it quickly becomes one of the most useful tools you will find for developing your site. -How much content you actually have that needs to be managed? -How much time you have to manage it? -How much of your budget you want to invest in managing it? There are some content management systems which are totally free like Drupal. Drupal is one of the best free as well as open source content management systems which mean that the software is both free and can be pulled by you to meet your specific needs. If you are interested to spend some amount of money then you can buy paid CMS software with licenses, extra features and maintenance charges. Actually, the price should not be the main reason you choose a CMS instead it should be based on your company need. 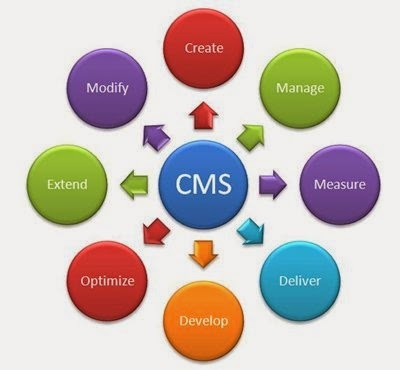 If you choose CMS as a tool to managing your website content then you should take some time to consider the different options that are available to you, because, like any other software, Content Management Systems (CMS) are not formed identically. When you looking for proper CMS then the first thing you to do consider that how much budget you have to purchase the system. Then you can begin considering different factors about each company that will help you narrow the field even more. In the market, many companies providing CMS software but it is risky especially when they are significantly different from existing companies. Choose those companies which have more experience as well as existence in this business. It is not 100% trustable but considerable to choose a company. You know what you required to achieve with a CMS. Whether it is plugging in content from vendors outside your company or allowing for collaboration within your company. Make sure that the services you expected can meet all of your needs now as well as your company grows. Because it is difficult to migrate from one CMS to another so take your decision which applicable to long-term. Do you need software that you install and manage on your own machines? Also, how will the CMS you select work with the technology that you already have in place? If you have to invest in additional technology to support the CMS then the actual cost of the system will be more than originally calculated. Personalization reaches to more than just defining how many users will use the CMS for various jobs. It also means looking deeper into all the situations in which a different element of CMS may be required. How CMS Influences SEO Efforts? In early years CMS applications often published content with long and complex URLs which search engine crawlers were likely to look down on. Many website developers concern about CMS and its effect on SEO efforts but don’t worry about it because good news is that today’s CMS applications are much more SEO friendly. So CMS helpful for SEO to drive organic traffic as well as achieve well search engine rankings. SEO is a very important part of owning any kind of website. Nowadays every individual wants their website will have good rank in search engines, as well as small businesses, also need more and more technical assistance including SEO assistance. So, CMS companies have listened when customers demanded a management system that works well with search engines. Let consider CMS applications you should also consider the structure with which will use to develop your content. Because basically a CMS is developed to maintain your content in an orderly manner and it can use to set your content strategy and your website structure. From the above information, we conclude that the content management system is beneficial to gain organic traffic as well as not affects SEO efforts. So folks send your feedback about this article via comments and emails. Till then enjoy your life.....!!! CMS websites plays greater role in todays online world, you shared an really impressive article over here. keep posting this kind of valuable things. Thanks Kieraseths for giving feedback about this article.......!!! Having read this I thought it was rather informative. I appreciate you finding the time and energy to put this content together. After reading this post, I have became fan of your blog. Thank you.